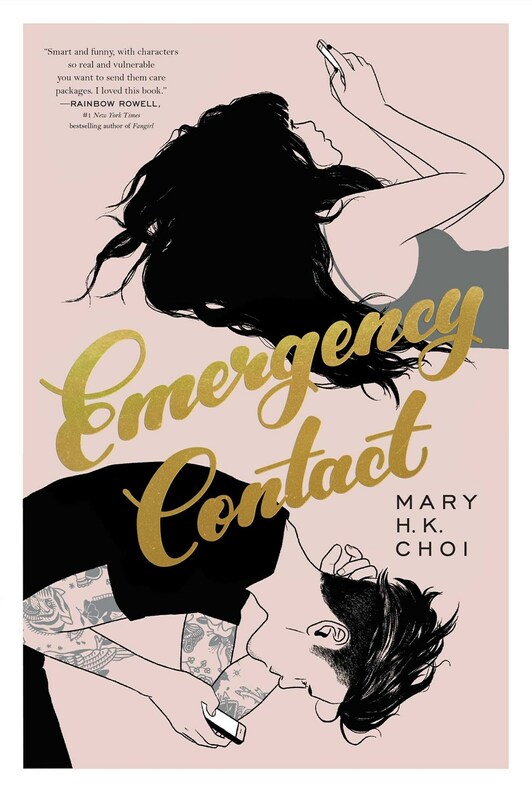 Mary H. K. Choi's Emergency Contact (Simon & Schuster Books for Young Readers, March 27) is getting a lot of buzz. Early reviews have me thinking: rom-com with depth. The basic premise is the developing (unlikely) relationship between Penny and Sam. Penny, a Korean American, is a freshman in college who dreams of becoming a writer. Sam is a twenty-one-year-old cafe worker who dreams of becoming a filmmaker. What could the two young people possible have in common? As it turns out, a lot. Themes and issues involve dysfunctional mothers, alcohol, racism, self-esteem, anxiety, and loneliness. This is a character-driven story rather than an action-packed adventure. Sam is not your typical male romantic figure. There may be trigger scenes for some readers. The dialogue is fun, with good banter and humor. Publisher's Weekly and School Library Journal gave the novel starred reviews, though Kirkus was less impressed. It looks like this is a love it or hate it book, with the loves soundly beating out the hates. Goodreads reviewers give the book a 4.12 rating. The novel will help you meet your diversity goals. Giveaway: Thanks to the nice people at Simon Teen, I have a finished copy of Mary H. K. Choi's Emergency Contact to give to one of my readers. All you have to do to be entered for a chance to win is to have a USA mailing address and to fill out the following form. Because I want to make sure the winner will have time to read the book before the March 27 release date, I'm making this a quick contest. I'll pick a winner via a random number generator on March 8. Once the winner has been confirmed, I'll erase all personal information from my computer. Good luck!